This blogger bundle was created by Sandra Walker of MMM! Quilts In November 2018. She is now using it as a kit for the Beothuk Quilt Along. 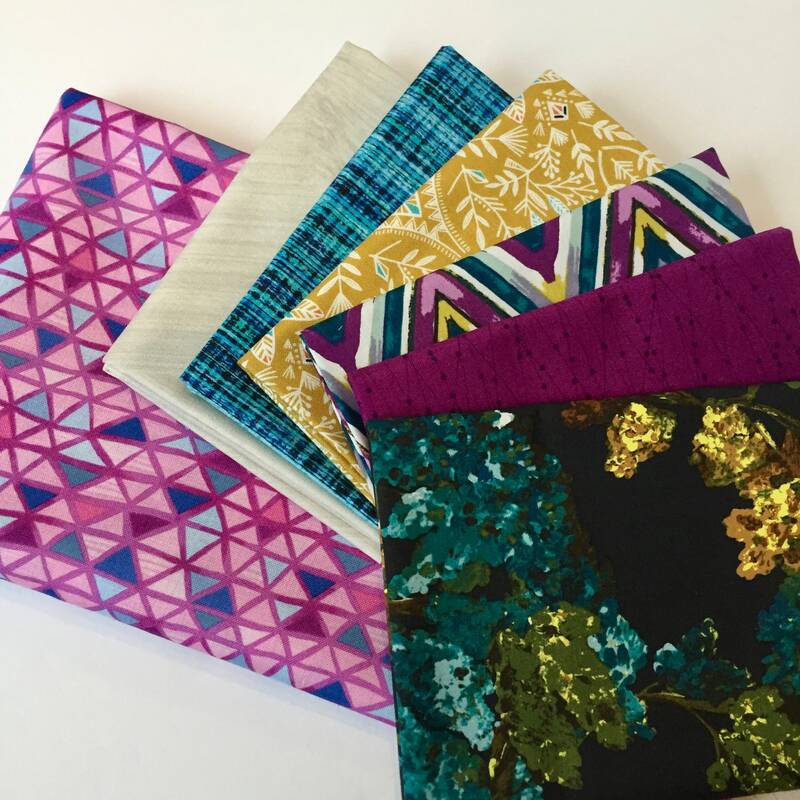 To make it work for this QAL, Sandra added one more fat quarter, the Mosaic fabric in pink and purple. I love the gorgeous range color Sandra chose to include. Designers featured here are BariJ and Bethan Janine. The colors are bold but Sandra's inclusion of tone on tone fabrics makes it all come together beautifully. This is a gorgeous combination of fabrics! Cannot wait to use them, once my Christmas projects are done! Beautiful fabric arrived early - can't go wrong with this shop! Will buy again from this shop.